Affordable Sign Supplies Online In Bulk! These Sign Supplies are Cheap to Buy and Cheap to Operate! Sign Making Equipment Company with Wholesale Pricing! 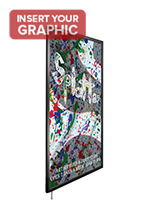 This sign supply, backlit LED frame, will draw more awareness to your directory with its vibrant display and big presence. The LED frame rack, sign supply accommodates 36"w x 24"h translucent signs sandwiched between 2 Lucite plates. The Lucite plates will shelter your images from damaging factors and keep your LED frame in position. We provide your sign supply, backlit LED frame, with a backlit frame to make a long-lasting and energy-efficient directory. In truth, with LED technology and its total design, this sign supply will survive through 11 years of constant use! 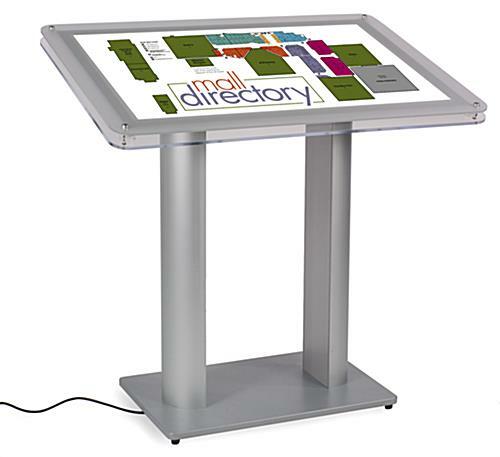 The backlit illumination box, also recognized as a foyer directory, features an engraved diffusion pattern to focus the edge-lit illumination to the center, producing an even distribution of light. Buy sign supplies online and save! The sign supply, backlit LED frame, is fabricated from several substrates as well as Lucite, powder-coated MDF, and metal. 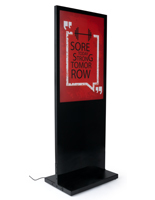 This durable construction ensures a rugged fixture that may be positioned in high traffic areas with no worries. 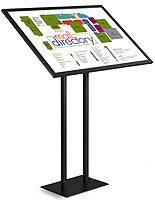 This directory, sign supply with clip-open design, is not difficult to put together. (Please see the setup directions for more details.) 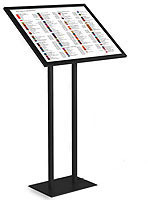 The directory rack is an ideal sign supply to be utilized inside of any hotel, sales, or eatery foyer. 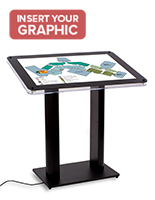 Use this commercial sign supply for sale online to welcome guests and provide facts pertinent to their visit. Please click here for setup instructions. 41.0" x 45.0" x 29.0"